We start off a new year, 2015, with an interesting cosmic alignment. 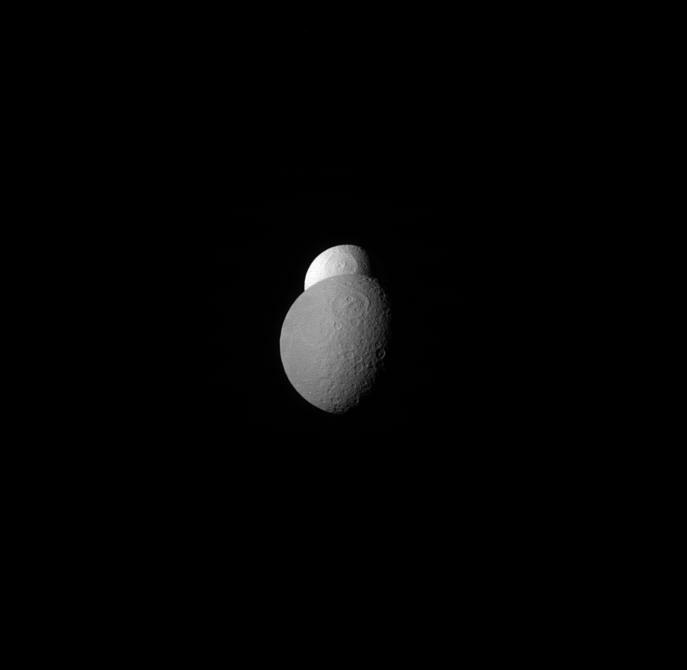 Here we see two of Saturn’s moons; Tethys and Rhea nicely lined up with about a quarter of each in shadow. This picture was taken by the Cassini probe’s narrow-angle camera in red light at a distance of about 1.8 million kilometers from Rhea. The lit side of the moons is the one facing away from Saturn. 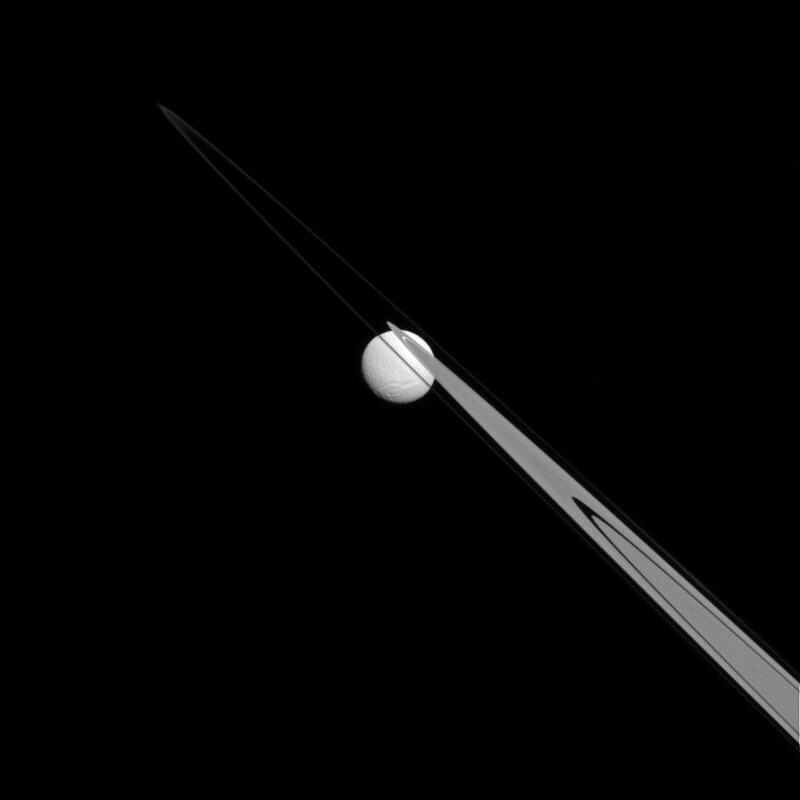 The Cassini orbiter used its narrow angle camera to photograph Saturn’s moon Tethys from this interesting angle, at a distance of 1.8 million kilometers. In this picture the 1,062 kilometer wide icy moon appears to be hanging off of Saturn’s A and F rings. 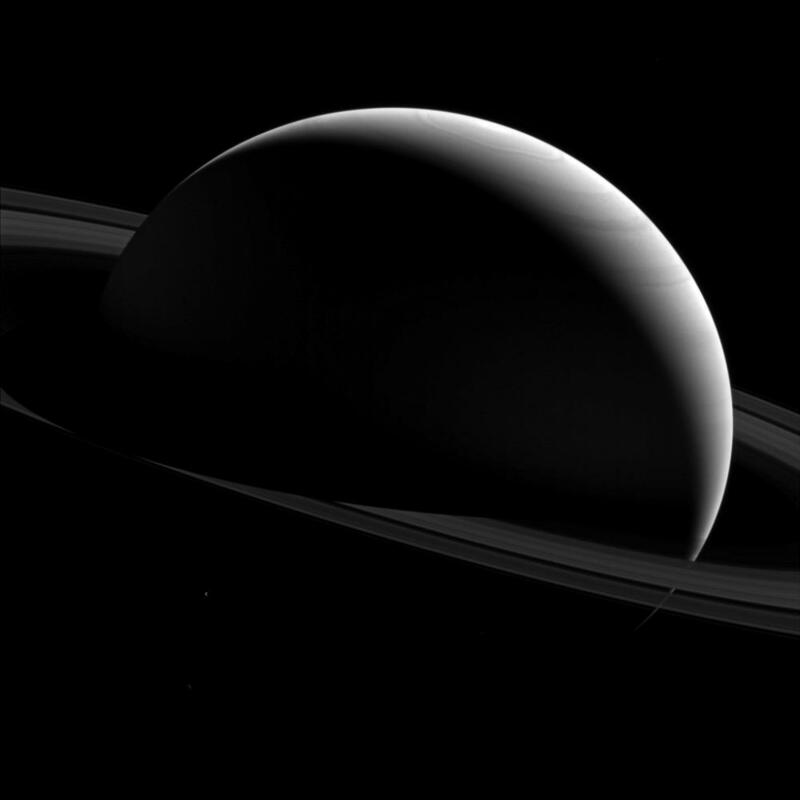 Along with the bright white Saturn-facing hemisphere of Tethys, we also get to see how flat Saturn’s rings really are – supposedly only approximately 10 meters high/thick while being 300,000 kilometers across.